If you are looking for last mile transportation or just an environmentally way to travel, you may be interested in a new electric bike which is launched via Kickstarter this week with the aim of raising $60,000 over the next 30 days. 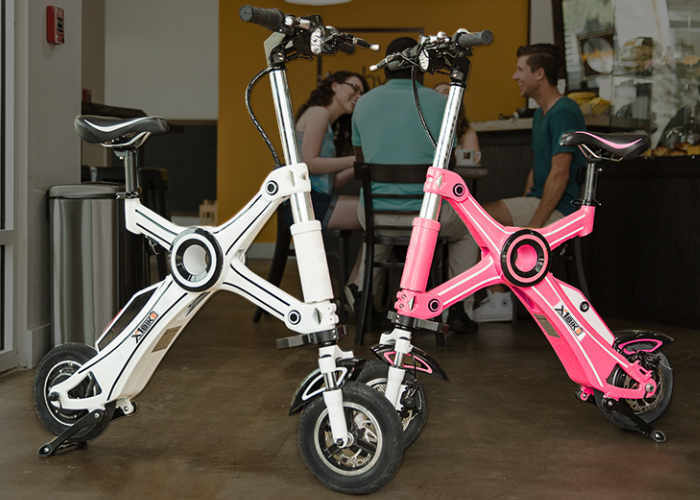 The X1 Explorer bike allows you to avoid congestion and offers a compact folding electric bike that quickly folds and unfolds and provides a range of up to 37 miles as well as GPS tracking technology. Watch the demonstration video below to learn more about the X1 Explorer electric bike which is available to back with pledges starting from $995 and shipping expected to take place during March 2018. The X1 electric bike is available in a range of different colours to suit your style and taste and comes complete with its own 110 V charging unit and offers two battery choices either a standard that provides a 25 mile range all the extended battery capable of providing 37 miles of range. Both batteries only take four hours to fully charge from flat allowing you to be up and running quickly when needed. Features of the electric bike included twist throttle accelerator with a top speed on flat road surfaces of 19 mph. It even comes with its own key fob which allows you to start the electric bike. Jump over to the official Kickstarter campaign page via the link below, for more details and a list of all available pledges.